Based on reviews from 706,528 users. Learn how our rankings work or see our guide to pink sneakers. Updated Apr 2019. Sneakers have always been a subject of trends with inspiration and influences from different industries and cultures. But design origins are not the sole factor in this. Colors also play a significant part in fashion trends, and that include sneakers regardless of their cut or profile, brand, or design inspiration. After the full-blown white sneakers trend pioneered by the comeback of the Adidas Stan Smith, pink sneakers became an "it" thing – they started showing strong presence through fashion trendsetters, bloggers and influencers, celebrities, and street style followers. This trend covers a full spectrum of the sweet, romantic color from blush pink to millennial pink, rose gold, powder pink, and much more. 2016 was the year of white sneakers - no questions asked. White sneakers were (and still are, in fact) everywhere that almost every sneaker brand gave in to the trend by producing shoes that would fit the demands of the growing market of sneaker wearers. It is understandable, though, as consumers loved the minimal appeal and clean look of such shoes primarily because they offer versatility in styling. They can be worn with anything at any time of the day and are perfect go-to pairs for anyone. However, towards the mid-year of 2016, celebrities, bloggers, and other prominent personalities started wearing pink sneakers as an alternative, and not necessarily as a replacement, to their white ones. One factor could be the fact that we are in an era that relating fashion to people of one particular gender is already a thing of the past. Although the majority of pink sneakers aficionados are women, it has become acceptable for men to strut a pair of pink sneakers as well. Pink, in all tones, has been invading the world of fashion since the ‘60s. It graced the runways of high fashion brands like Moschino, Gucci, Valentino Oscar de la Renta, Michael Kors, Chanel, and Cèline among others. To date, the color pink still makes its presence known in the fashion industry that pink sneakers trend came as no surprise. Adidas Hamburg. Released originally in 1982 as part of the City Series, the Hamburg made a comeback in 2014 retaining the signature retro look of the original. Several pink colorways of this silhouette for the ladies have been released since then. One of which is the Adidas Hamburg "Wonder Pink,” which features lush pigskin nubuck upper with contrasting Three Stripes in Trace Blue and a semi-translucent gum rubber outsole. Another is the Adidas Hamburg "Vapour Pink" that utilizes a soft suede upper with contrasting Three Stripes in off White and a semi-translucent gum rubber outsole. The “Raw Pink” colorway, on the other hand, features a tonal pink suede upper that also sits atop a similar semi-translucent gum outsole. Adidas Superstar 80s Metal Toe. The classic Superstar silhouette received a women-exclusive metal toe version through the Adidas Superstar 80s Metal Toe “Icey Pink." 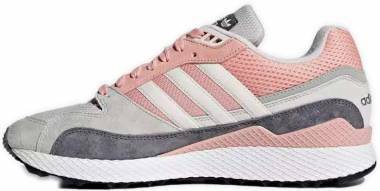 This low-top Three Stripes sneaker features a soft pink suede upper with a matte metal toe cap in a similar hue, pink tonal laces, and a pastel pink rubber sole. It released in 2017 as part of Adidas Originals Metal Pack. This version is also available in a metallic rose gold toe iteration through the “Chalk White” colorway. Adidas EQT Support 93/17. On July 8, 2017, Adidas Originals released a “Wonder Pink” colorway for the Adidas EQT Support 93/17 silhouette at a $180 retail price. These retro-inspired low-top pink sneakers feature a Primeknit upper with hints of pixelated print black and black accents on the side panel, heel counter, and rubber outsole. Adidas Iniki Runner. The Iniki Runner silhouette combines Three Stripes' authenticity from the ‘70s era with modern-day functionality. It features a nylon-suede combo on the upper, a full-length Boost cushioning, and a gum rubber outsole. A women-exclusive “Pink Gum” colorway released in June 2017 with a retail price of $120. Adidas Campus. The old-school Campus from the Three Stripes brand got its dose of the pink sneakers trend. The Adidas Campus Raw Pink” made its debut in October 2017 at a $90 retail price. This women-exclusive rendition comes in premium materials, with textured pigskin nubuck upper, a reinforced toe cap, serrated Three Stripes branding in contrasting white color, and gold foil branding accents. Adidas Gazelle. The iconic Gazelle has been unstoppable since its return in 2016. This low-top kick popularized by supermodel Kate Moss in the ‘90s received a women-exclusive colorway that definitely could easily get approval from the ladies who love their Rosè's color on a shoe. Released in August 2016, the Adidas Gazelle “Rosè” colorway features a tonal suede upper in salmon-pink color with a white leather accent on the heel counter, a textured midsole, tonal laces, and metallic silver Gazelle branding on the sides. 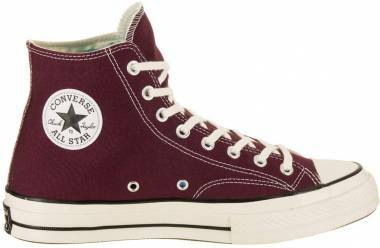 Converse One Star Suede Low Top. The Converse One Star Suede Low Top boasts a versatile and straightforward silhouette with the brand’s One Star branding. The upper is made of suede for durability while an Ortholite sockliner is added for plush cushioning and comfort. 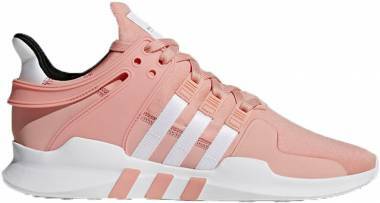 The Dusk Pink/White colorway is this silhouette’s entry into the pink sneakers trend. Keds Triple Kick Glitter Suede.The “Rose” colorway of this Keds shoe is unquestionably one of those that instantly upgrades any basic look with its elevated sole and glittered suede top combo. Tonal laces and Ortholite sock liners complete the look. New Balance 696 Suede. The classic 696 silhouette got its monochromatic update with a premium suede upper and mesh materials. Inspired by a running shoe, this low-top is available in Dusty Pink colorway that you can sport whenever you are in the mood for pink sneakers. It released in October 2017 as part of the New Balance 696 Suede Pack. New Balance 274 Classic. The “Sunrise Glo” colorway of this New Balance low-top boasts a muted, soft, peach-like pink hue that makes this 247 Classic a versatile addition to your wardrobe. Its upper is made of lightweight leather and mesh for a bit of sporty vibe, while underneath it is a REVlite midsole for a plush ride. New Balance 210. The NB 210 is a men’s skate shoe from New Balance built with a low profile, suede-canvas upper, and a vulcanized outsole. It has a wide range of colorways available including the “Pink” colorway. New Balance 770.In October 2017, New Balance launched a “Pink/Grey” colorway of its NB770 silhouette at about $180 retail price. It features a pink mesh and leather upper, a clean white midsole with grey accents, tonal lacing, and black outsole. New Balance 996. Another pink sneaker from New Balance emerged in September 2017 through a "Pastel Pink" colorway of the 996 silhouette. The shoe boasts a minimal and timeless look with monochromatic suede and mesh upper in a low-top profile and lace-up closure system. The iconic New Balance “N” branding on the side panels complete the look. Nike Air Max 97 Ultra 17. A combination of pink and silver graces the layers of suede and synthetic upper of the Nike Air Max 97 Ultra 17 “Pink Blush.” Sealing off the pink look of this silhouette is a cream-white midsole and translucent light pink outsole. This shoe that debuted on January 9, 2018, is Nike's one of the many entries in the pink sneakers trend. Nike Air Force 1 UltraForce Mid. In December 2017, Nike gives a rosy pink update to its Air Force 1 UltraForce Mid silhouette. Dubbed officially as the “Particle Pink/ Sail” colorway, the shoe displays the original 1982 AF1 aesthetics with a one-piece internal bootie construction, leather overlays, a cored out outsole, pull tabs on the heel and tongue, and reflective detailing for enhanced visibility. Nike Air Foamposite One. The Swoosh's iconic Foamposite One silhouette made no reservation in the pink sneakers trend. Released in April 2018 is the Nike Air Foamposite One “Rust Pink” which flaunts a light shade of pink with black accents and a translucent sole. Nike Air Max 270. The new Air Max silhouette with a prominent 270-degree heel Air unit, knit upper, a dual density foam sole, a plush bootie construction, and an asymmetrical lacing system has a share of colorways for the pink sneakers trend. One is the “Coral Stardust” colorway with a lighter tone of pink that released in March 2018. The other, which released later on May 3, 2018, is the “Barely Rose” colorway for a summer-ready look with its light pink upper and contrasting berry-colored heel Air unit and rose gold brandings. Nike Cortez. Nike debuted the classic Cortez in a few pink colorways that could pass the pink sneakers movement in fashion. One is the “Particle Beige” colorway which released in January 2018 and has a blush pink hue that minimalists would surely approve of and metallic gold branding accents. Other pink Cortezes include the “Particle Rose,” the "Elemental Rose," and the "Coral Stardust" for the Cortez Nylon iteration. Puma Fierce. In August 2017, Puma debuted a metallic rose gold colorway for its Fierce shoe dubbed officially as the Puma Fierce “Copper Rose,” which retails at $110. The overall aesthetics of this colorway is unquestionably a hit rather than a miss - pink-hued body from upper down to the sole, metallic accents throughout the upper, and a neoprene toe cap. Puma Basket Bow. The timeless silhouette of Puma Basket got a flashy makeover through the Puma Basket Bow low-top sneakers. It retains the classic tooling of the original Basket, but an enormous and fancy satin bow is added on the heel. Available in “Pearl” colorway, this iteration couldn’t get any more feminine and fashion-forward. Puma Ignite Limitless. Unlike most pink sneakers across brands that are ubiquitous these days, the Puma Ignite Limitless shoe’s pink colorway is bright and vivid. The official name is a giveaway, though - "Knockout Pink." A sneaker designed exclusively for women, this kick flaunts an Ariaprene upper with TPU midfoot cage and heel clip, gore foot strap, reflective detailing, injection-molded EVA midsole, full-length IGNITE Foam, and rubber outsole pods. Reebok Classic Nylon. Reebok as a brand has its fair share of subdued pink sneakers in the market and one of these is the Classic Nylon “Porcelain Pink.” It displays an eye-catching soft pink shade all throughout the upper including suede overlays across the toe cap, heel, sides, and eye stays. Signature brandings on the sides and heel come in premium white leather material for contrast. But the Classic Nylon silhouette is more than that. For a deeper pink hue, Reebok launched the monochromatic “Sandy Rose” colorway of the shoe in a combination of suede and nylon upper and tonal laces and sole. Reebok Classic Leather. The Reebok Classic Leather “Patina Pink” carries on the classic appeal of the ‘80s Classic Leather shoes but transforms to a bold yet muted color from top to bottom. The upper is made of premium garment leather for authentic Reebok Classic style, while the midsole is of die-cut EVA material for lightweight cushioning. Reebok Club C 85 Diamond. The “Pink Grey” colorway of the Reebok Club C Diamond shoe is a perfect example that pink and grey go hand-in-hand even in sneakers. A light shade of pink dominates the leather upper while grey accents are visible on the rear panel. Completing the look is a contrasting white midsole. Saucony Shadow Original. A staple and timeless Saucony shoe, the Shadow Original silhouette has been around since 1985. Comfort, function, and style are all fused together in this shoe with its mesh and nylon upper materials, EVA midsole, TPU heel piece, sufficient padding, and rubber outsole. Today, the highly coveted low-top is available in “Pink/White” colorway along with many other colorways in varying shades and combinations. Skechers Bobs Sport Squad – Photo Frame. Available for only $50, the light pink colorway of this shoe model from Skechers will give you a sporty style and comfort. 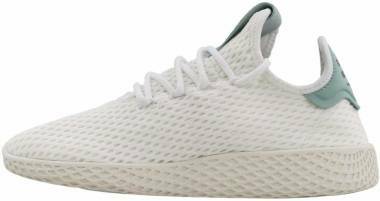 It is made of a slip-on construction, nearly one-piece soft knit fabric upper, Memory Foam cushioned insoles and a flexible rubber outsole. Vans Old Skool. One of the most popular Vans shoes is the Vans Old Skool model. It is available in countless colorways for men and women, and these include those that fall within the pink color spectrum. One of which is the "Evening Sand" colorway with a pink canvas upper, suede overlays, white leather side panel branding, and white midsole. The “Pastel Pink” colorway which released in March 2018, on the other hand, has a clean suede upper in soft pink tone, contrasting white laces and side panel branding, and a gum rubber outsole. A brighter pink tone comes in the form of the “Dry Rose” colorway with similar accents of white brandings and midsole. Vans SK8-Hi. Vans updated its SK8-Hi silhouette with a color that qualifies it to the pink sneakers category. Launched in “Blossom” colorway rendition in July 2017, the high-top kick flaunts a blush pink suede upper with white contrasts on the side branding, laces, tongue, and midsole. Vans Metallic Old Skool. The classic skate shoe from Vans received a metallic update through the Vans Metallic Old Skool in “Rose Gold” colorway. The entire upper has a metallic finish with a re-enforced toe cap for added durability, lace-up closure, padded collars, and rubber waffle outsole. Sneaker collaborations are too familiar nowadays that there is already a long list of successful and well-loved collaborative sneakers in the history of footwear and fashion in general. Sneaker collaborations, otherwise referred to as sneaker collabs, happen when a shoe brand partner up with a celebrity, retailer, renowned fashion designer, or other fashion brands to come up with an iteration of an existing shoe model as commemoration or celebration of a particular event or a significant personality. In this section are a few of the most notable and recent collaborations on pink sneakers. Keds x Kate Spade New York Champion. The "Pale Pink Dancing Dot" colorway of the brand's collaboration with Kate Spade New York on its iconic Champion silhouette brings extra fun to your outfit. It is made of printed canvas upper, tonal lace-up closure, cushioned insoles, and rubber outsole. Keds x Kate Spade New York Champion Glitter.Perfect for the ladies who like a touch of glitz and glamour, Keds together with Kate Spade New York brings you a "Rose Gold Glitter" iteration of the classic Champion silhouette. The entire canvas upper is covered in crushed glitter in a rose gold finish, and the laces are of wide satin material. Keds x Kate Spade New York Kickstart Nubuck. The tennis-inspired Kickstart silhouette received a luxe upgrade through this particular collaborative shoe model. It features a nubuck upper that gives a right out of the box comfort and tonal laces. Available in "Cameo Pink" colorway for your pink sneakers gaming all day, every day. Puma x Careaux Mostro. Those who prefer a darker hue of pink for their kicks could probably take a look at this Puma x Careaux collaboration shoe in its "Wood Rose" colorway. It features a distinctive medial zig-zag hook and loop closure system for a secure and comfortable fit and a suede upper. Don C x Air Jordan 2 “Arctic Orange.” While the name seems to disagree, this Jordan 2 rendition is actually pink in color. Don C is a part owner of luxury sportswear brand Just Don and Kanye West's previous fill-in DJ and tour manager. The “Arctic Orange” colorway is the third installment in the AJ2 collaboration between Just Don and the Jordan brand. Reebok Classic x Local Heroes NPC II.The NPC II (NPC stands for Newport Classic) iteration of the Reebok Classic originated in 1989 and made a comeback in 2000. In 2017, Reebok finally updated the iconic silhouette by collaborating with womenswear company Local Heroes. This collaborative shoe with beautiful fur accents on the lace detailing released in two soft and subtle colorways, pink and purple. Fenty x Puma Bow Satin. With its large bow accent on the upper, it is no surprise that Rihanna's Fenty x Puma Bow Satin shoe is an eye-catching and a head-turner pair of kicks to wear. 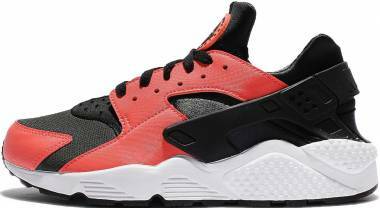 The sneaker utilizes a monochromatic pink upper in a low-top construction. Adidas x Raf Simons Stan Smith “Ash Pink.” Released in Spring of 2016, the premium rendition of the Stan Smith by high fashion designer Raf Simons truly deserves a spotlight. The overall aesthetics of the shoe screams luxe and comfort, sealed off with Simons’ signature “R” perforation brandings on the side panels. 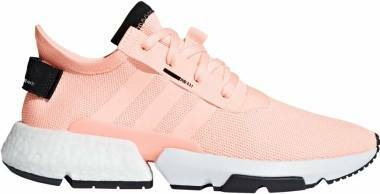 Adidas Y-3 Kydo Runner in “Blaze Pink.” Unlike the majority of pink sneakers in the market, this Yohji Yamamoto’s work on the Three Stripes Kydo Runner silhouette is a pair that both the ladies and the gents could enjoy. The sneaker is finished with a hot pink hue that is made to turn heads and make a statement. The color pink is a combination of red and white with varying hues from blue-based berry to orange-based salmon. It has several shades such as blush, salmon, coral, rose, fuschia, and hot pink among others. Others thought of it as essentially a much, much lighter red. Pink is generally a soft color that is often associated with being feminine, romantic, and charming. In color psychology, it is perceived as a calming color in relation to femininity and kindness. The vibrant hues, on the other hand, are often described as stimulating. What are the different pink tones that have been a part of the pink sneakers trend? Below are a few of the many pink tones that are part of the pink sneakers trend. Light Pink. Emerging in 2018 as a fashion trend, the light pink shade can be best described as a pastel hue with a soft, elegant, and feminine aura. Rose Gold. 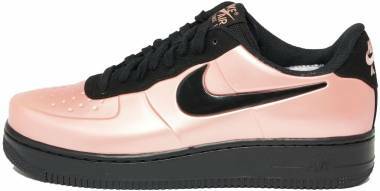 The rose gold color originated in pieces of jewelry, but its popularity eventually reached sneakers as well. It is a luminous shade that adds a bit of shimmer to your favorite kicks. Powder Pink. Although powder pink appears as soft and delicate as other lightly-colored pink shades, it has this distinct powdery, muted, and pale appearance. Think of adding a bit of gray to pale rose quartz. 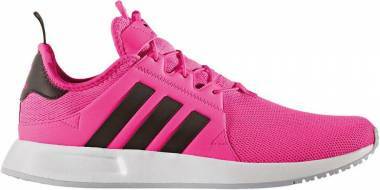 What are the advantages and disadvantages of pink lifestyle sneakers? It is quite difficult to elaborate on the advantages and disadvantages of pink sneakers as they could be subjective depending on the consumer's personal preference. But to give you an idea, below is general information about this topic. They are generally perceived as stylish and on-trend. Pink sneakers with subdued hues are often as versatile as white sneakers. They are a bit luxe-looking compared to the relaxed vibe of white sneakers. Vibrant pink hues on sneakers add instant oomph to any outfit and could make a statement. Since the pink color is recently a hit in fashion, a wide variety of pink sneakers from different brands are available in the market. Lightly colored sneakers, in general, tend to get dirty quicker than dark-colored ones. Pink sneakers included. Pink sneakers trend is currently popular in fashion, and fashion trends are not permanent. There is a chance that in a few years, pink sneakers may not be as stylish and likable. There are collaborative sneakers that are released in an exclusive pink colorway, and these shoes often come with a hefty price tag. 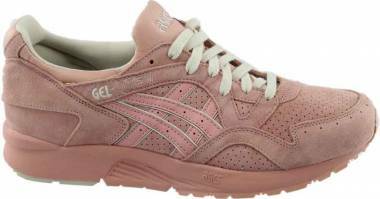 Most pink sneakers available are made as women-exclusive models, which make them limited for men. How do you style pink casual kicks? Styling a pair of pink sneakers is not a complicated task. Since most of these sneakers come in toned-down or soft hue, they look best with a neutral look for a simple but classy flair. Rose-toned pink sneakers, on the other hand, can be worn with denim, subdued chic prints, or solid colors. As for the bright hues, it’s best to pair them with a monochromatic outfit that would draw attention to the shoe and make it as your outfit’s pop of color. 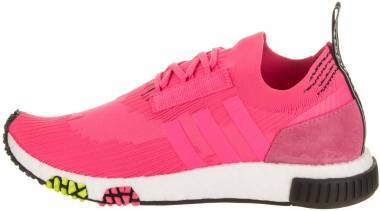 Are pink sneakers exclusive to women? No. We are currently at a time in which gender stereotyping is a thing of the past. The color pink and all its tones are no longer solely associated with being soft and feminine. Though the majority of pink sneakers in the market are designed as women-exclusive models, there are still a handful of pink sneakers made for both men and women. Men are free to wear pink sneakers anytime as they wish. What pink fashion shoes are available for men? Like mentioned above, pink sneakers are not limited to women alone. 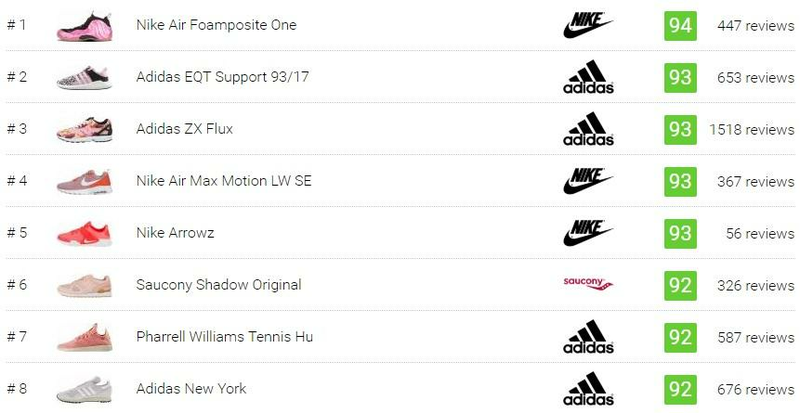 Below is a list of such shoes that are available in men’s sizing. Are pink casual shoes popular among celebrities and noteworthy personalities? Pink sneakers’ popularity reached a point that their presence has become influential to everyone from popular personalities to sneaker collectors, sneakerheads, and regular consumers. Several celebrities have been photographed following this trend and strutting different pairs of pink sneakers such as Gigi Hadid, Emily Ratajkowski, Miranda Kerr, Taylor Swift, Heidi Klum, Olivia Palermo, Scott Disick, Usher, and more.